Nope, it’s not a new man in my life. Well he is, kind of. MeetEdgar is a browser-based social media scheduling tool. It allows you to divide your content into categories and then you can schedule social media updates that use your “library” of evergreen content. We tried him out over a year ago on the recommendation of Pat Flynn but found the system a bit cumbersome at the time. After looking at our array of tools and not seeing what we needed for automation, I decided to give him another try and they must have done some upgrades because the platform is darn easy to use now. I got content loaded and scheduled in just 20 minutes. I loaded evergreen updates into each category. Then on Edgar’s calendar I set up certain categories to share on certain days at certain times. So for example, on Monday mornings at 6:33 am I want to tweet out a Blogging Tip. It will pick a tweet from that category and tweet it. Then it puts that Tweet at the bottom of the list and it won't be used again until it has gone through the entire list. Cons: Cold, hard cash money. MeetEdgar is $79 a month and that is a hefty monthly payment. I don’t even like adding it up in my head for how much this is per year or I start to twitch. So I can’t recommend this product to brand new bloggers; it took me FOUR YEARS of blogging to feel like I could comfortably invest that kind of money in a single tool. Pros: Investing biggish money into a tool means you are also forced to make a social media plan. No more willy-nilly for you. You can with your followers at random times, but now you need to THINK about what your goals are (More followers? Warm leads? More community? Drive traffic to your blog?) then set up your social media calendar, work the plan and check your stats. Cons: No twitter Auto-DMs. I don’t always recommend these, but for some accounts, they are useful. You can use the basic SocialOomph account for auto-DMs, or CrowdFire. 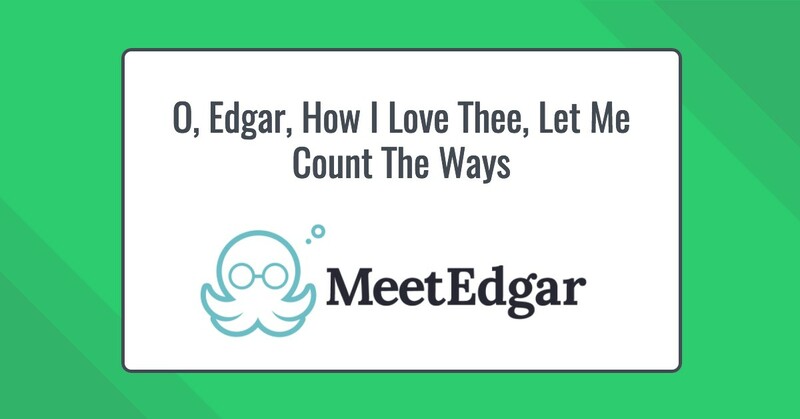 Is there a platform out there that does what Edgar does for cheaper? Kind of. We were clients of SocialOomph Professional for half a decade, and it is a robust tool for sure. It’s about $40 per month, but there is a very long learning curve, in my opinion. 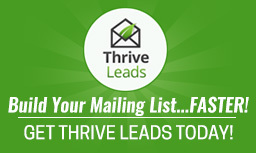 You may want to sign up for the basic service, then maybe do the 7-day free professional trial. TIP: One thing that we continue to struggle with is keeping track of all of the social updates that go out into the world. When our updates are coming out of Co-Schedule, Edgar, HootSuite, RSS feeds and ManageFlitter and then your own RTs/MTs/replies … that could add up to too many updates in your social feeds. If the majority of your followers don’t follow too many people themselves (less than 500, for example), they probably won’t tolerate 100 updates a day and could unfollow you because of update fatigue. So keep checking your stats and tweaking how many updates you put out every day. The takeaway for us is that MeetEdgar saves us enough time to make it worth the $79. You can load up to 25 SM accounts, and for those of us who manage a lot of platforms, this is great, and worth the dough. It’s cheaper than a VA’s help but more expensive than manually loading content into HootSuite. Have you done a trial of MeetEdgar yet? Edgar currently doesn’t have an affiliate program and none of these links are affiliates. Feel free to visit my Resources Page to peruse other tools that I use and recommend to help support the I Teach Blogging knowledge base.